Police in Sri Lanka on Sunday arrested two men accused of beating a leopard to death in a “sickening” attack that was captured on film and sparked revulsion. The pair were accused of killing the big cat on Thursday after it attacked nearly a dozen people in a village 330 kilometres (210 miles) north of Colombo. Gruesome images of the leopard, a protected species in Sri Lanka, being savagely beaten were shared on social media, generating widespread disgust. “It is sickening to see these images,” wildlife deputy minister Palitha Thewarapperuma told parliament as he promised swift action to arrest the perpetrators. Police said the two men were remanded in custody by a court as investigations continued to track down the others responsible. “We have the two main suspects in custody, but we are looking for 10 others who have aided the killing,” a police spokesman said. Sri Lanka’s leopards are on the International Union of Conservation of Nature (IUCN) Red List of endangered animals. 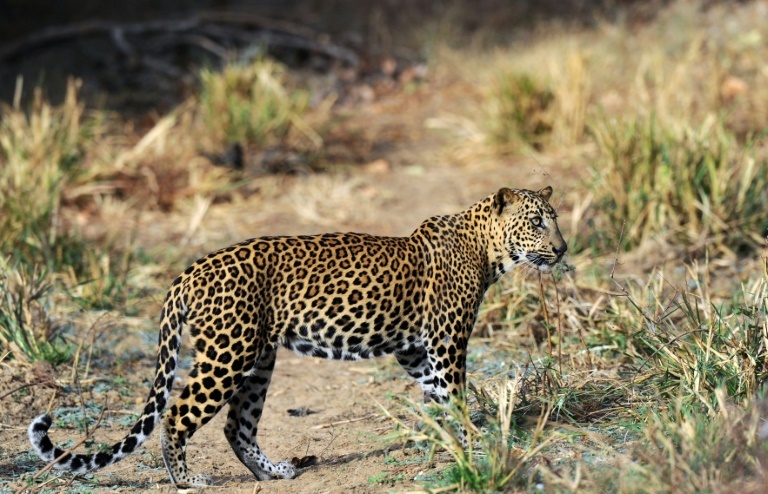 Harming leopards in Sri Lanka is punishable by jail terms up to five years. The wild population of leopards on the island is estimated at fewer than 1,000. Six people were jailed in March 2016 after posting photos online showing them skinning a sea eagle alive.